Below you can view all the homes for sale in the Lanier Springs subdivision located in Buford Georgia. Listings in Lanier Springs are updated daily from data we receive from the Atlanta multiple listing service. To learn more about any of these homes or to receive custom notifications when a new property is listed for sale in Lanier Springs, give us a call at 404-998-4113. Abundance Of Upgrades And Improvements Like New Roof, Sprinklers And Security System. MLS#6537373. Mark Spain Real Estate. Will Not Last...Hurry, Call Today! MLS#6534047. Palmerhouse Properties. Will Not Last...Hurry, Call Today! MLS#8560625. Palmerhouse Properties & Assoc. New Roof And Exterior Paint, Huge Covered Deck. MLS#6522183. Chapman Hall Professionals. Swim And Tennis Community With Waterslide. Cul De Sac Lot! MLS#6518206. Hill Wood Realty, Llc..
..Backyard Upgrades * Pine Trees Removed To Ensure Safety & Security * Prof Installment Privacy Hedge Of Cypress Trees * Aesthetic Foliage Reduce Runoff * Buldr Installed Detainment Wall & French Drain * New Sod * Prof Installed Concrete Curbing Surrounding The Home & Each Island * Outdoor Ceiling Fan * Prof Installed Landscape Lighting W/Transformer. MLS#6513057. Bhgre Metro Brokers. Great Schools And Easy Access To Buford Dam, Lake Lanier And Short Driving Distance To Mall Of Georgia. 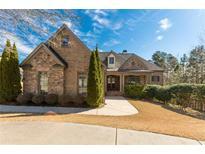 MLS#8528248. Real Property Management Group. Great Schools And Easy Access To Buford Dam, Lake Lanier And Short Driving Distance To Mall Of Georgia. MLS#6507105. Real Property Management Group, Inc.. Covered Deck & Fenced, Level Playground Backyard. Wow! MLS#6121027. Keller Williams Realty Atlanta Partners. Oversized Master With Fireplace And Sitting Area! Full, Customizable Basement! MLS#6117960. Keller Williams Realty Atlanta Partners. Oversized Master With Fireplace And Sitting Area! Full, Customizable Basement! MLS#8510739. Keller Williams Rlty Atl. Part. Great Home In Lanier Springs W/Awesome Amenities In Buford *Huge Kitchen W/Open Concept, Refrigerator Included *Tons Of Cabinets For Storage *Front Room At Entrance Has Multiple Uses As Office, Study, Separate Living Room Or Dr...Your Choice *Huge Master Bedroom & Bath With Large Walk-In Closet *Over Sized Secondary Bedrooms *Nearly New Carpet *Expansive Corner Lot *Come Make This House Your Own "Dream Home" With Your Special Touches *Just Minutes From Lake Lanier MLS#6099213. Smart Decision- Sharon Dover And Associates.